New York Bridal Fashion Week, the Spring edition, wrapped up earlier this week. Can you believe 2019 styles are already on our radar? We checked in with a few of the exclusive designers we carry at Alexia’s to see what they had up their sleeves for Spring/Summer 2019 and all we can say is, you won’t be disappointed. Long sleeve lace gowns with full skirts in anticipation of the Meghan Markle and Prince Harry’s wedding (one month away)! 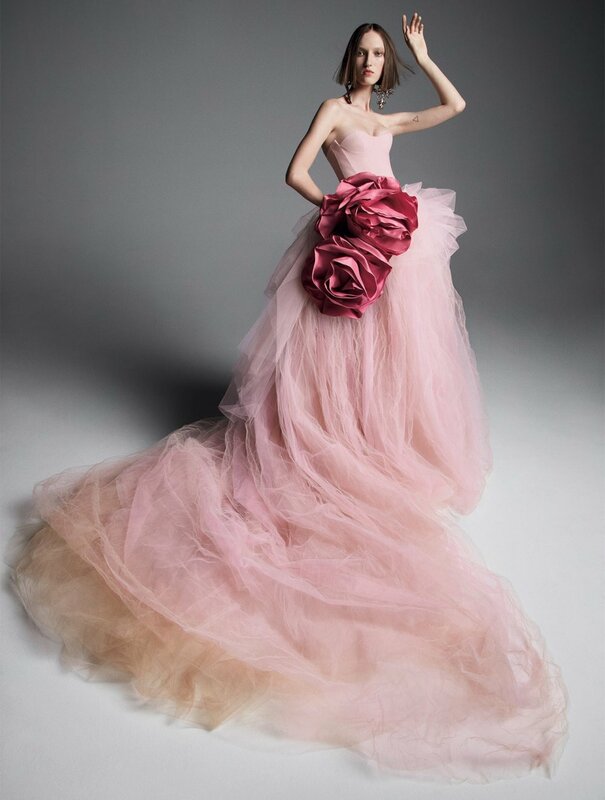 A continued return to bridal gowns in solid fabrics such as silk satin, faille, and organza with modern twists — as seen in Monique Lhuillier and Sarah Nouri’s styles. Colorful details and additions — Vera Wang nailed this for 2019. See below for some of our favorite shots from the weekend!